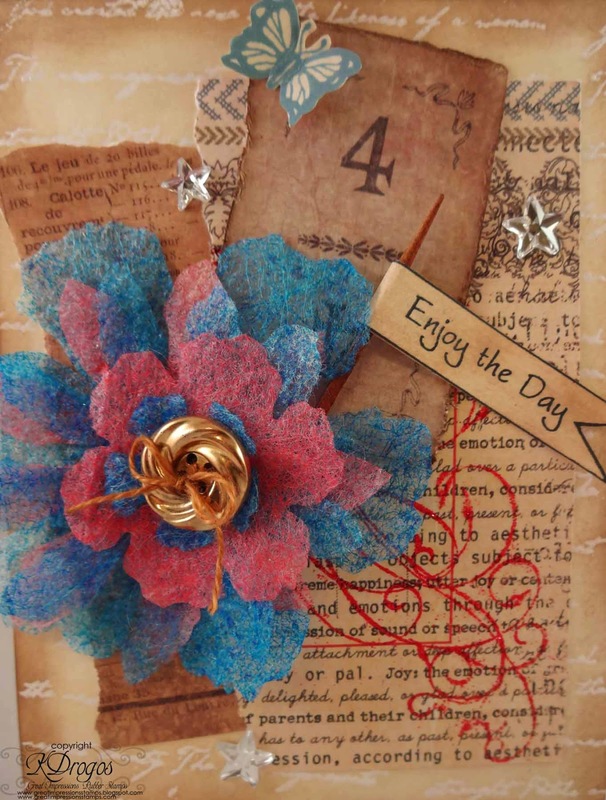 I am so excited that I have done my first post and tutorial over at the Great Impressions Blog! The ladies over there are super talented so be sure to check out their projects too! Also, Happy 4th of July! Here is my patriotic card. Here is the background. I used clear embossing powder and heat set it. 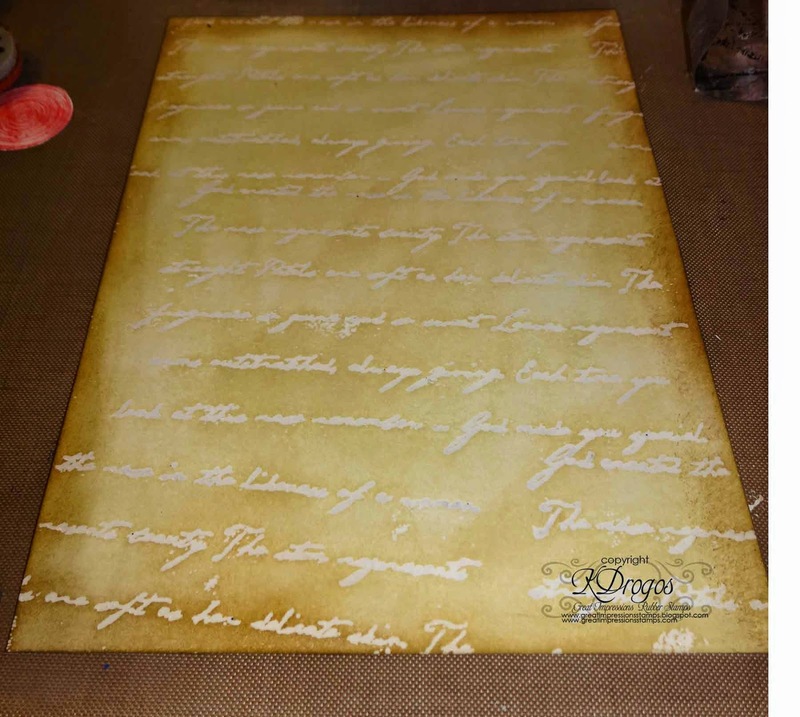 Then I used Distress Inks Antique Linen and Walnut Stain and resisted the embossing. It is like magic when the text appears. 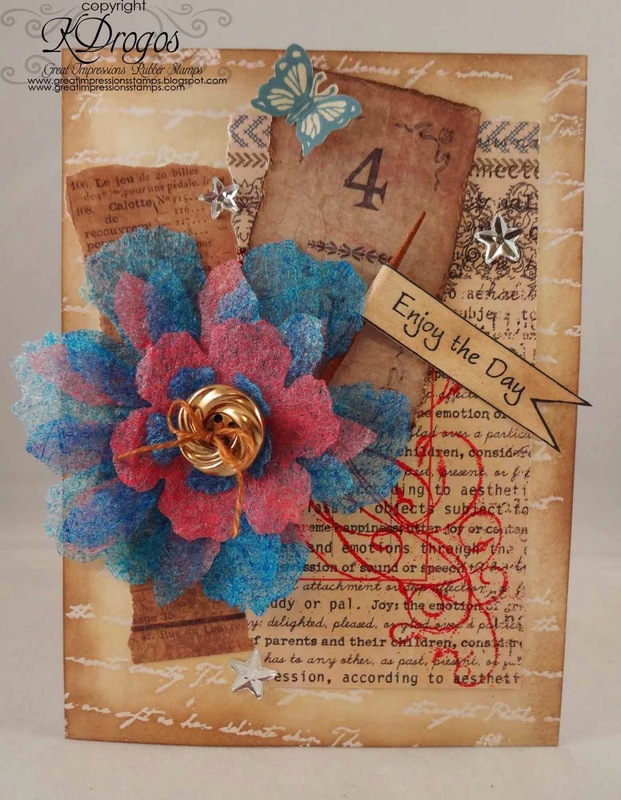 The swirls are embossed with Firecracker Red glitter embossing powder from Sparkle N Sprinkle. This is an awesome red and makes the stamp Simple Elegance just pop! There are 3 butterflies on the Butterfly Trio stamp but since I need one I just cut it out. I also cut the sentiment out from the Tags stamp. Oh and that flower? It's made from used dryer sheets (and why does that sound weird when I say it?) Isn't that awesome? And you can see the tutorial here.